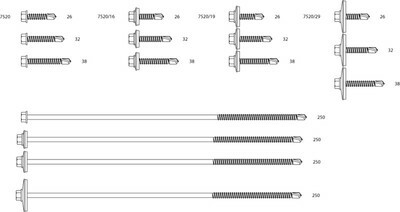 We offer an extensive range of tek screws and fixings for professional use can serve a variety of purposes and materials. They are of course suitabe for our range of roof panels and wall panels. We can deliver the fixings for sandwich panels and corrugated sheets by courier. 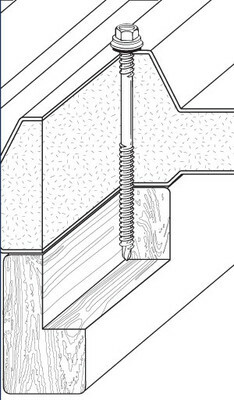 for fastening to cold-rolled sectional beams of 2 x 0.63 3.5 mm. 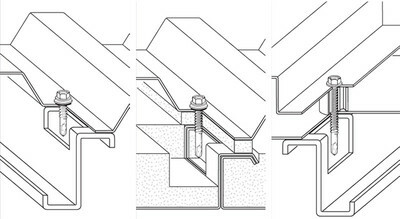 for fastening to cold-rolled sectional beams and purlins of 1.5 - 6.0 mm. Item 7520 is also available in A4 stainless steel as '7524', in lengths of 26 mm, 32 mm, 38 mm and 60 mm. 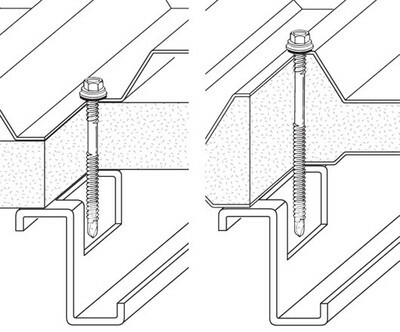 or fastening to hot-rolled sectional beams of 4.0 - 12.5 mm. 7530 is also available in A4 stainless steel as "7534", in the length of 40 mm. 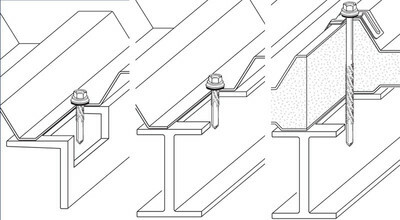 for stitching trapezoidal sheets with maximum overlaps of 2 x 1.25 mm. for connecting trapezoidal sheets with a minimum overlap of 2 x 1.25 mm. 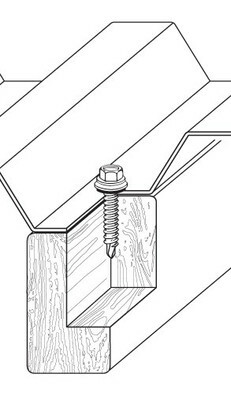 for fastening profiled plates to timber substructures. 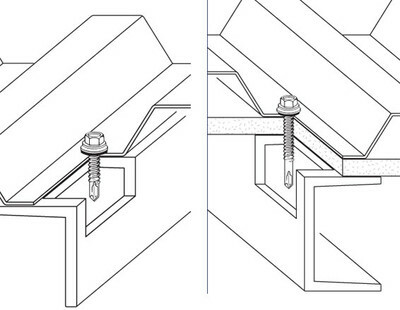 for fastening sandwich panels to sectional beams and purlins of between 1.5 and 6.0 mm. 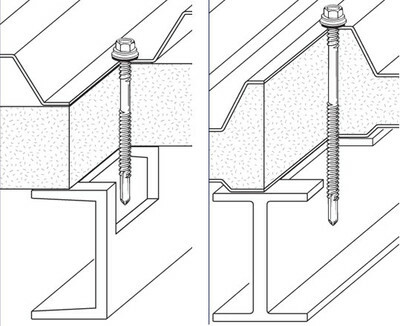 for fastening sandwich panels to sectional beams and purlins of between 1.2 and 3.5 mm. 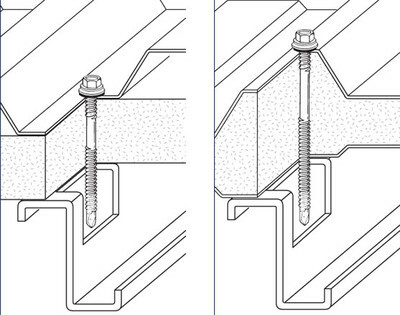 for fastening sandwich panels to sectional beams of between 4.0 and 12.5 mm. With asymmetrical thread for fastening various sectional beams and sandwich panels to concrete. 7890 is also available in A4 stainless steel as "7890 E".